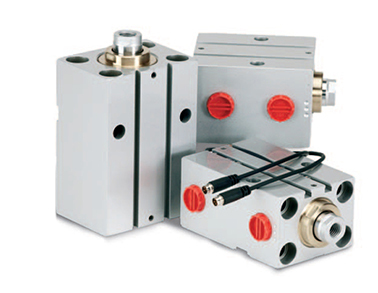 Full Range of Compact Design High Resistance Double Acting Aluminium Block Cylinders with a wear resistant coating. These cylinders are made to order with fixed stroke lengths of 20mm, 50mm, 80mm and 100mm in bore sizes from 25mm to 100mm. 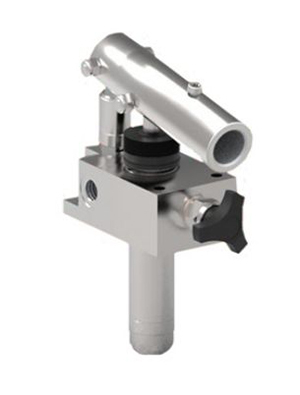 They feature a maximum working pressure of 160 BAR. Their Aluminium construction makes them suitable for use in corrosive or wet environments. 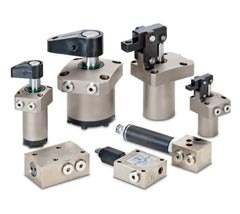 Built to the highest standards these block cylinders are designed to operate in tight spaces and are easily mounted through their vertical and horizontal mounting holes. Simply bolt them down with cap head bolts for a compact and tidy setup. 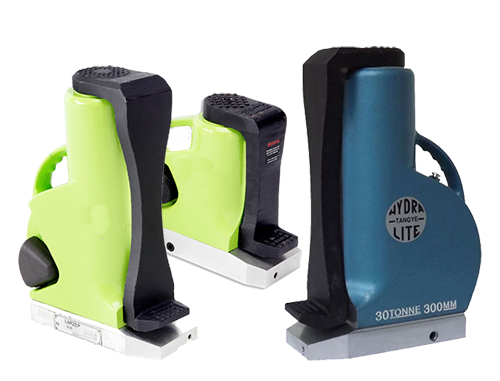 They are often used for clamping applications but can suit a wide variety of applications and are available with Viton seals if required. 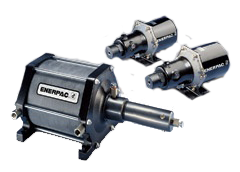 Need a standard cylinder on a faster lead time, check out our Enerpac Block Cylinders here. 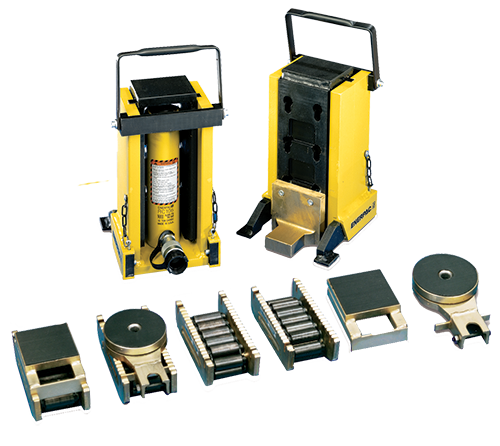 These are available in Single and Double Acting, built to Enerpac's high standard and readily available from stock. 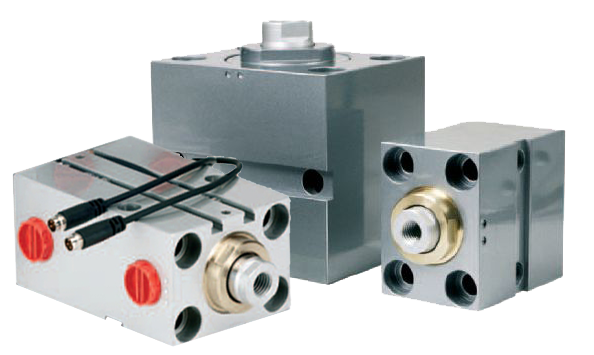 Full Range of Compact Design Heavy Duty Double Acting Steel Block Cylinders. 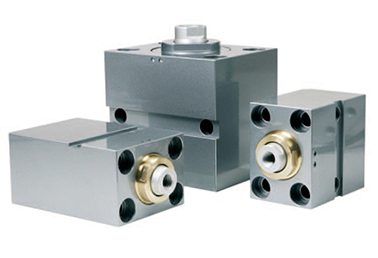 This range of block cylinder is made to order with fixed stroke lengths of 20mm, 50mm, 80mm and 100mm in bore sizes from 25mm to 100mm. 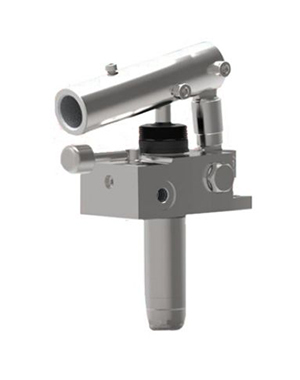 They feature a maximum working pressure of 320 BAR. 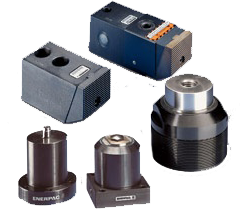 Most suitable for industrial use for clamping and automation when a strong, compact and highly modular design is needed. Simply bolt them down with cap head bolts for a compact and tidy setup. As the aluminium block cylinder above they are often used for clamping applications but can suit a wide variety of applications and can be fitted with Viton or Low Friction seals if required.